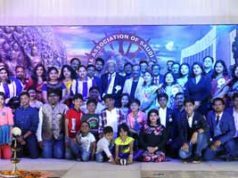 Bhubaneswar: North America is all chaotic as The Odisha Society of the Americas, or OSA is going to celebrate its 49th edition this year in Michigan. 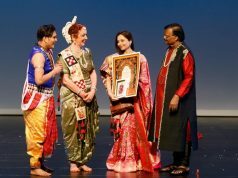 OSA is known for its exchange of culture and information between Odisha and North America and like every year this year too the Odia celebrities and guests from every cultural field have packed their bags and are all set to present the culture of our state and celebrate the togetherness this 5th to 8th July in Detroit, Michigan. Amongst all kinds of performing arts, the prime time of the convention will experience the essence of Odissi Dance which will be performed by the internationally recognized dancer, Saswat Joshi. 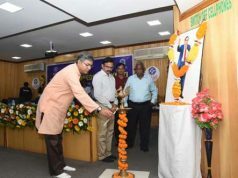 He will be accompanied by his students, Akankshya Kumari and Bibhudutta Das. The trio will perform the spectacular pieces exclusively choreographed for the occasion. The Lord of the universe Shri Jagannath being the sole deity of the Odias, Saswat’s choreography has been centred around the Lord and his *leela* as elaborated by the eminent poets, writers, and singers. As the old devotional songs are less heard nowadays, Saswat Joshi has paid a tribute to the legendary singers such as, Late Akshay Mohanty, Late Bhajan Samrat Bhikari Bal, Late Sikander Alam and other recognised singers and has choreographed a beautiful piece on some of their historic songs. OSA, and the people of America will witness the aura of Odissi like never before. Also eminent film artist Kuna Tripathy, singer Bishnu Mohan Kabi, Pragyan Hota would be a part of this grand event.